When planning your Barbados holidays, one of the first things to do is find a suitable place to stay. 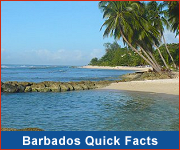 Barbados accommodation is extremely varied with something to suit everyone's taste and budget. For a luxurious experience stay at the resorts on the west coast of the island, including Sandy Lane, Coral Reef Club, The Sandpiper and Cobblers Cove. All offer the ultimate pampered getaway with exceptional service and amenities. Private villas, complete with cook and butler if you so desire, are a wonderful alternative to hotels and resorts. These villa holidays offer the utmost privacy and space to unwind. For the more budget-conscious traveller there are excellent all-inclusive resorts on the island as well as mid-sized, often family-run, hotels. Many of these are beachfront or a short stroll from the beach. All-inclusives are a convenient way to holiday, especially with children. Guesthouses can be found across the island, from the party area St. Lawrence Gap to the rugged and picturesque east coast, and provide affordable and friendly accommodation. Barbados is the ideal holiday destination, whether you unwind by just relaxing, exploring the island or experiencing new adventures! The soft white sands, swaying palms and warm turquoise waters beckon, inviting you to truly relax as you soak up the warm sunshine. When you're feeling more adventurous try out watersports such as kayaking, jet-skiing and parasailing. Barbados' capital city Bridgetown, and its historic Garrison, are a World Heritage Site. Indeed history is all around you on our lovely island - from the historic Parliament Buildings (3rd oldest in the Commonwealth) to the lovely Plantation Great Houses including Sunbury and Nicholas Abbey, where the St. Nicholas Abbey Rum is made. And speaking of rum, did you know that Barbados is the birthplace of rum? While on your Barbados holiday be sure to visit one of the island's rum distilleries for a tour and a taste! While on holiday in Barbados you'll also want to explore some of our most popular attractions such as Harrisons Cave, Oistins Fish Fry and local museums. An island tour or safari is a great way to see the Barbados countryside, magnificent vistas and hidden gems. 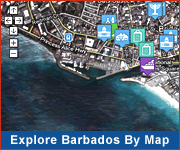 Explore more Barbados attractions and activities. Read more on passports, visas, customs, duty free allowances, etc. All Seasons Resort - Europa: Early Booking Offer. Book now for travel between December 16th, 2019 and April 15th, 2020 at our special rate of US$ 167.00 in selected room categories. Special terms and conditions may apply. Email us at reservations@allseasonsresort.bb for details. Experience Crop Over with a fresh, modern take on authentic island living. Stumpy's 101 Birthday Special - any vehicle for 1, 2, 3 or 4 days at $50 US per day including taxes and CDW. Bajan Car Rentals Ltd: Special offers on direct bookings. Special Rates and Price Match Quotes! Voyager Rent-A-Car: SAVE with Voyager in March - May ! SAVE 15% off bookings . Offer includes 2019 Chevrolet Spark and Suzuki Swift cars/2019 Toyota Rush SUV 7 seater Valid for March to May 2019. Every 7th night booked is FREE, including FULL BREAKFAST, between July 1 and October 31. Take advantage of the latest deals at Accra Beach Hotel & Spa including exclusive vacation packages! Good news... Caribound now accepts Bitcoin for stays at our beautiful villa rentals in Barbados, making it even more convenient for you to enjoy the Caribbean vacation of your dreams. SAVE 10% on Internet direct bookings. Free delivery, free maps and unlimited mileage! 3) Complimentary bottle of Sparkling Wine. 4) Your wedding night is free! Do have a wonderful time! » Barbados flew only the British Flag, until achieving Independence. » There is a British Airways Concorde open for tours in Barbados. » HM Queen Elizabeth II is the Head of State of Barbados. » Some placenames in Barbados are distinctly British such as Dover, Queen's Park, Buckingham Hill, Cambridge, Kent and Liverpool Road. » Barbados practices a Westminster style of government. » Barbados' statue of Lord Nelson predates Nelson Column by nearly 30 years. » We drive on the left side of the road. » Barbadians are passionate about cricket.